A client who holds a loose rein on a design office will often receive the most inspired effort of its staff. The owner of Erica was just such a customer. The design brief was for a boat around 45 feet long, fast, competitive to race yet easy to sail, and beautiful enough to turn heads in the rarified company of the classic wooden yachts that decorate the summer waters of Maine's Penobscot Bay. We came up with a concept that utilizes classic curves and long overhangs in an innovative way that doesn't merely ape the beautiful shapes that have been used on other "spirit of tradition" yachts. 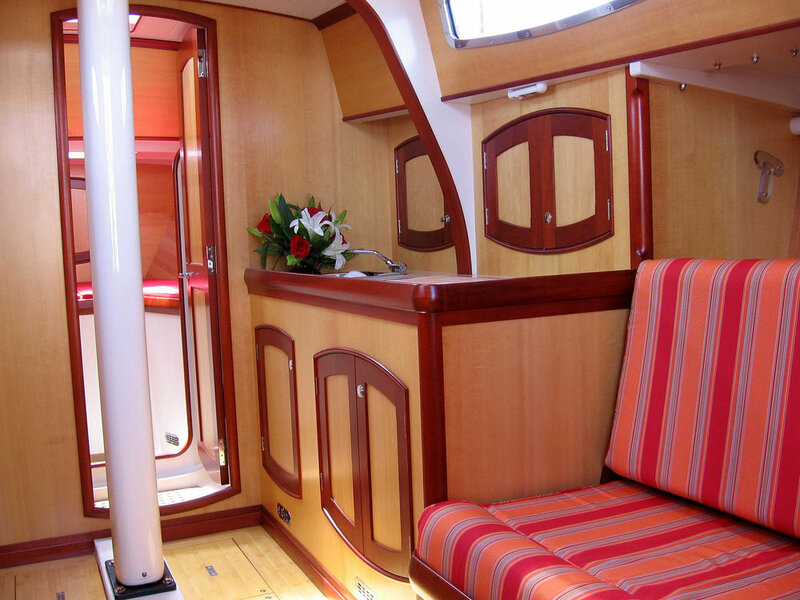 The deckhouse is clean and unadorned, and transitions smoothly into a cockpit that is both luxurious for cruising and functional for racing. Sail selection is at the heart of Erica's dual personality on the water. 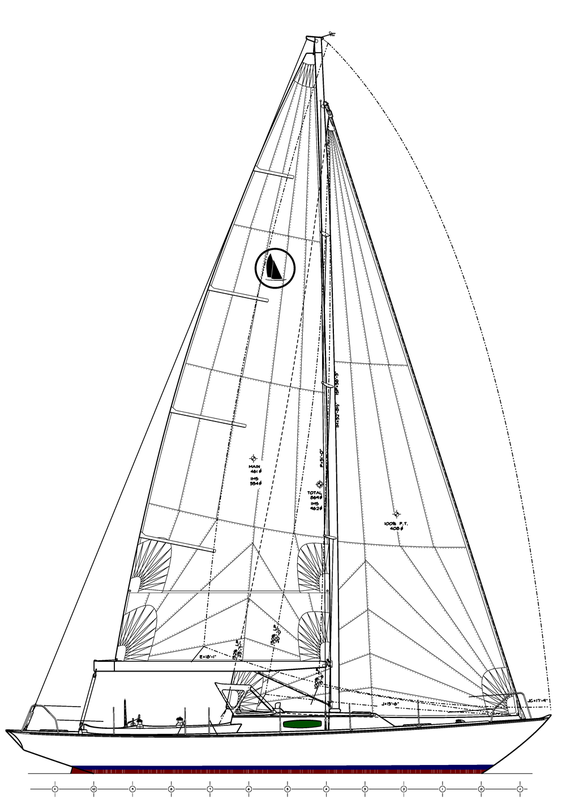 The powerful genoa, full hydraulics package, masthead spinnaker, and multi-adjustable sail controls enable a full crew to get her around the race course at or near the front of the fleet. Bend on a non-overlapping jib, and Erica becomes a spirited yet well-mannered weekend cruiser easily managed by a couple. As for turning heads, much of the credit for Erica's stunning good looks goes to her builder, French & Webb. The topsides and deckhouse are bright finished Honduras mahogany - each plank was carefully selected and secured in place with no visible fasteners. The motif belowdecks is sitka spruce veneer with mahogany trim. An astute observer has compared the interior to the inside of a guitar. With Erica, owner, builder and designer achieved perfect pitch.